Start off with a three coordinating colors of card stock: Lemon Lime Twist, Shaded Spruce, and Poppy Parade. 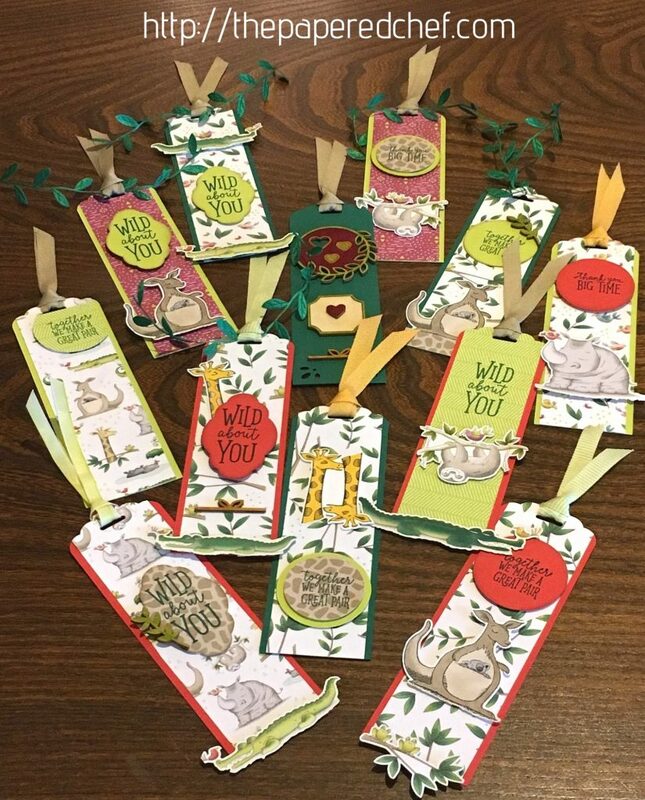 Then, cut the bookmarks 2″ by 6.5″ and save the extra sections of card stock for tags and other projects. Cut several pieces of the Animal Expedition designer series paper 1.75″ by 6.5″ and adhere only the bottom of it to the card stock. After you punch, adhere the top so that you don’t get adhesive in your punch. 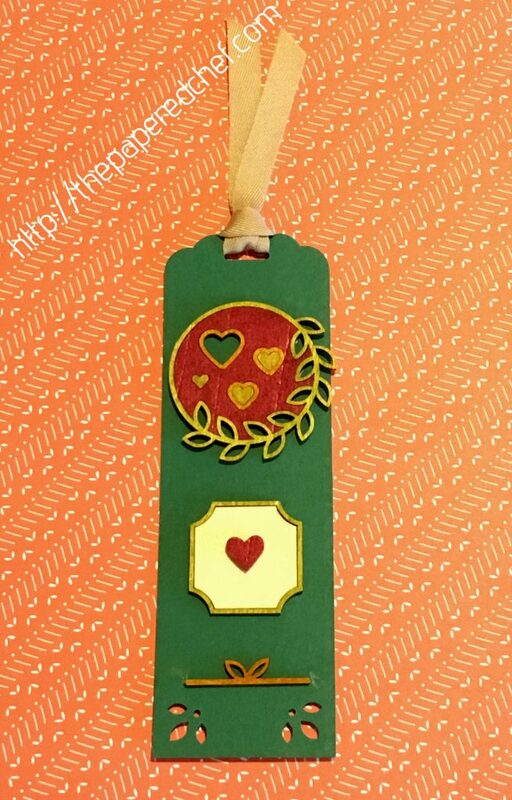 Use the Scalloped Tag Topper Punch on each bookmark. Cut a piece of coordinating ribbon about 7 to 8″ and loop it through each bookmark. 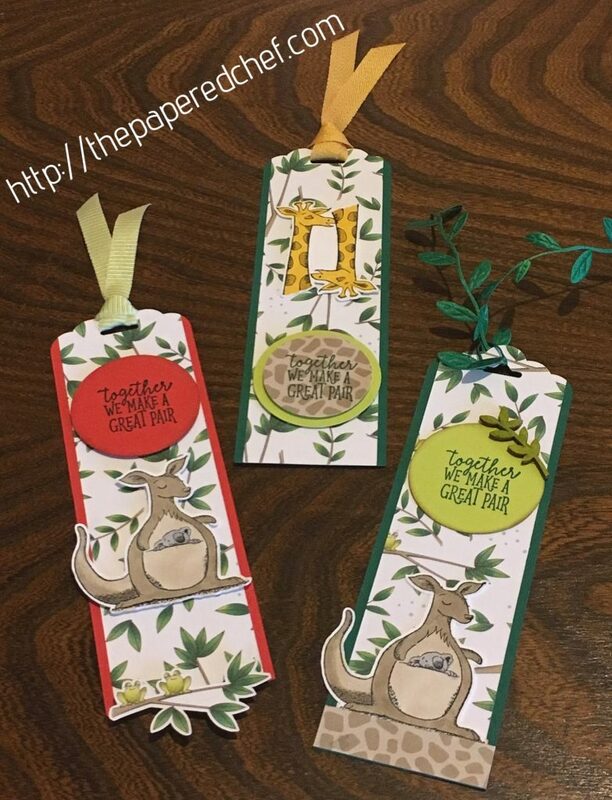 Use the Leaf Ribbon to add extra flair to some of your bookmarks. Stamp animals from the Animal Outing stamp set onto Whisper White card stock using Memento Black ink. 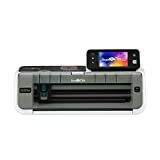 Use the coordinating dies to cut out some or your images or use the Brother ScanNCut 2. 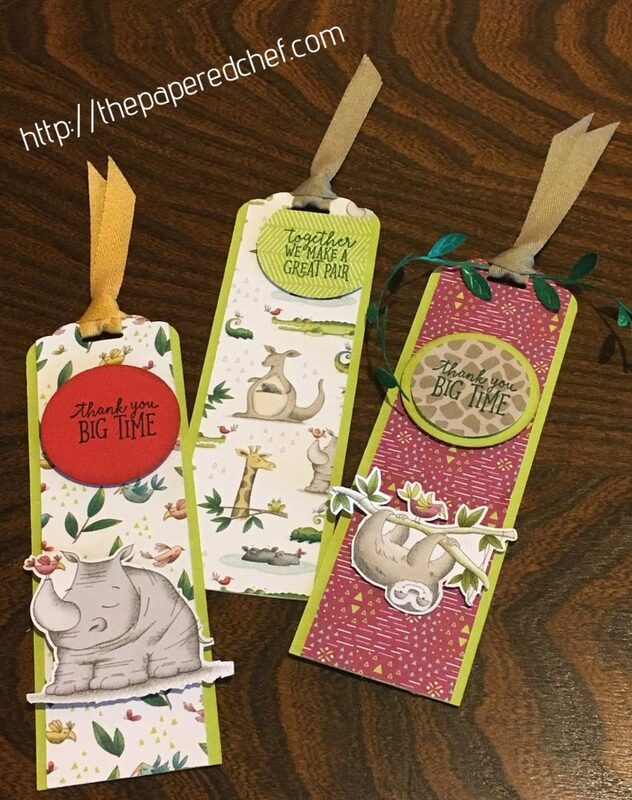 Embellish each bookmark images colored with the Stampin’ Up Blends or patterns cut out from the Animal Expedition designer series paper (see Cutting out Pattered Paper using the Brother ScanNCut 2 – Animal Expedition dsp). The embedded video below will describe the colors that I used to color each of the animals I used as embellishments for the bookmarks. 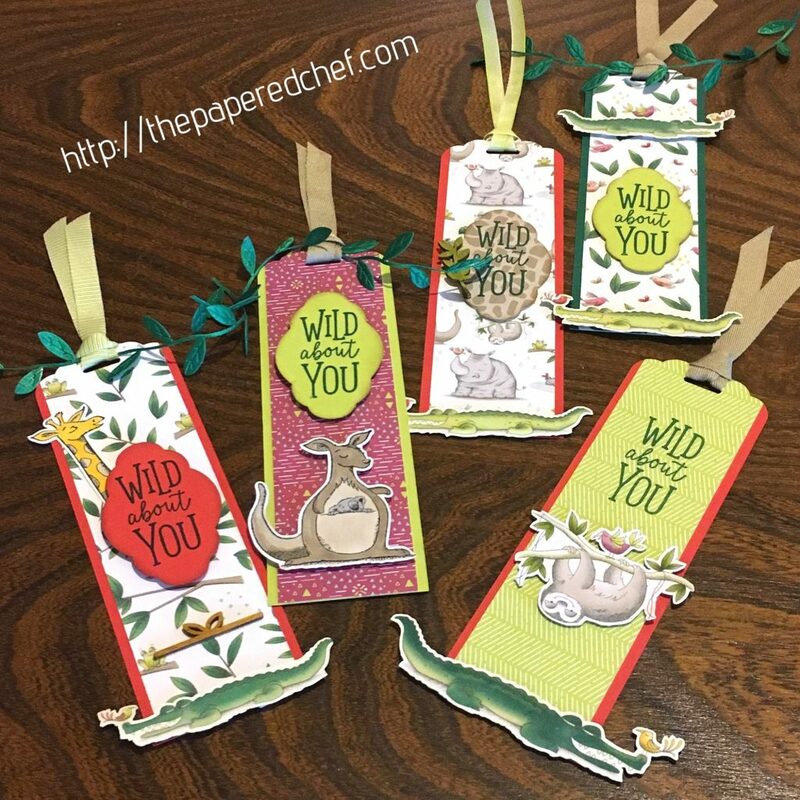 Stamp the Wild About You, Together we Make a Great Pair, and Thank You Big Time sentiments from the Animal Outing stamp set onto card stock or dsp. 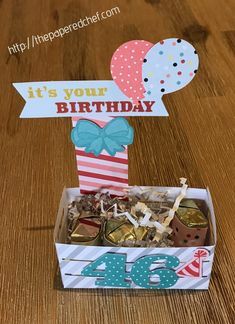 Punch out using the 1 1/2″, 1 3/4″ Circle Punch or the Pretty Label Punch. Color the Frames Elements using coordinating colors. 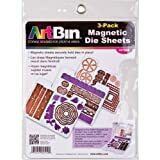 Attach the embellishments using glue for the Frames Elements or dimensionals for the sentiments and animals. 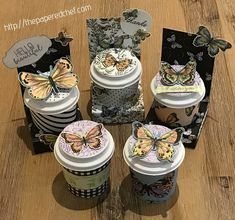 See the video below for lots of ideas on other projects you can create using the Animal Expedition Suite by Stampin’ Up. 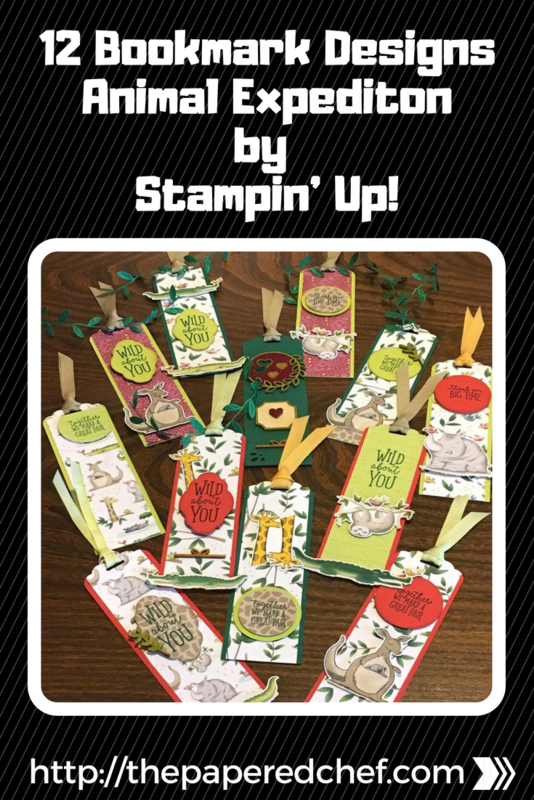 In this video, I show you projects I created using the Animal Expedition suite by Stampin’ Up! I show you the cards I created for swapping which mostly feature giraffes, Hershey Nugget Treats which are great for craft fairs and a dozen bookmark designs Stampin Up has several coordinating products including designer series paper, Animal Outing stamps, thinlits, leaf ribbon and frame elements. These are delightful! Thank you for sharing. Thanks Karen, I already gave half of them away and the recipients liked them too. I appreciate you taking the time to comment.